A lifestyle magazine for online Filipinos. 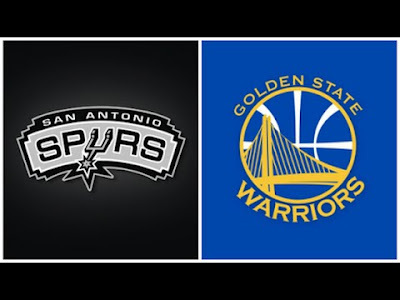 Golden State won over the San Antonio Spurs 136-100 at home. 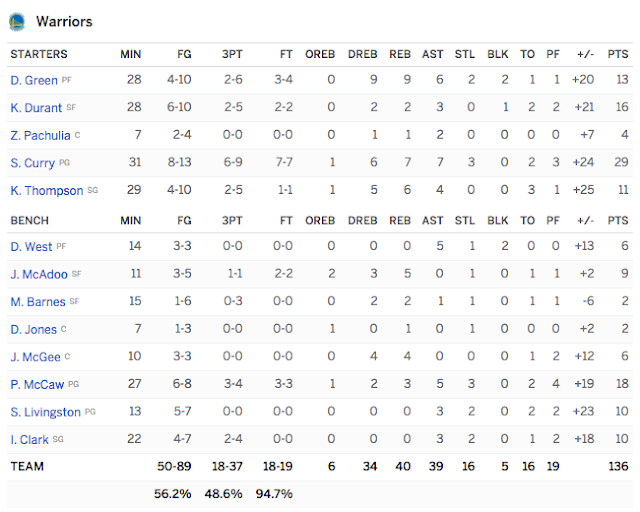 Led by the usual Stephen Curry at 29, all the warriors had scored. 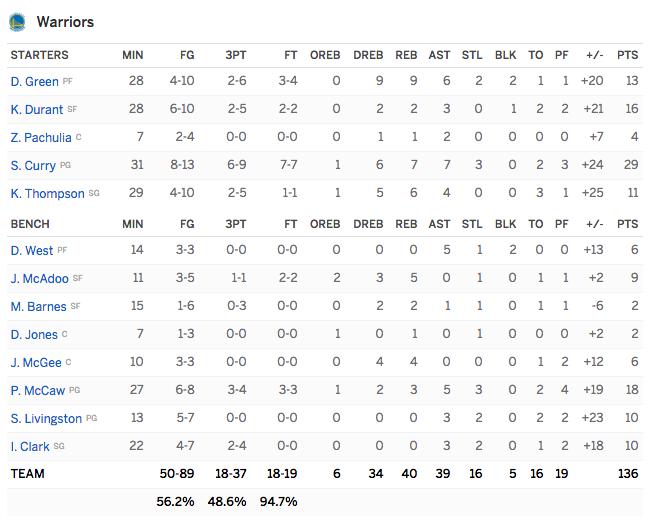 Draymond Green was hitting three pointers and the commentator mentioned, when he is hitting those, the opponents lose. This time they were right. Kawhi was still not present in Game 2 and there are talks he would play in Game 3. The Spurs gave a good game still and with Kawhi back next time, its a great show Game 3. 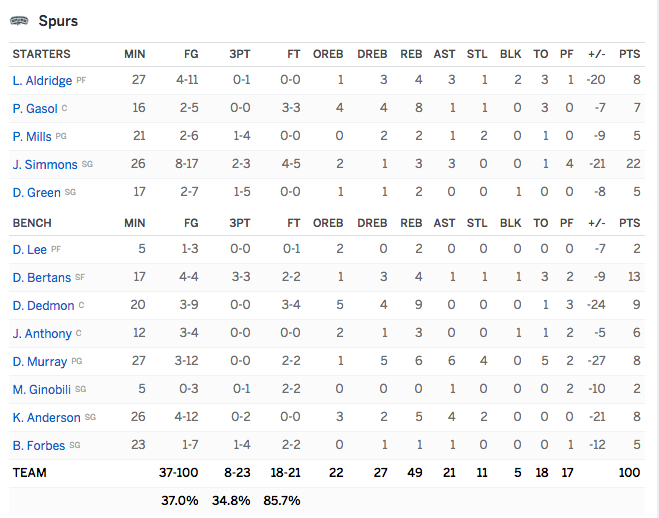 The Spurs are led by the sweet shooting Simmons with 22.